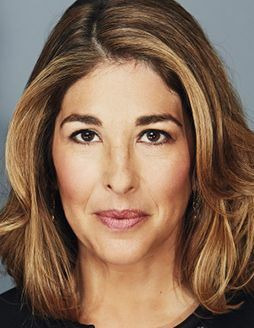 Writer and activist Naomi Klein is the author of The Shock Doctrine and the anti-globalization manifesto No Logo. Her latest best-seller, No Is Not Enough: Resisting Trump’s Shock Politics and Winning the World We Need, was published in June. The Fire Next Time by James Baldwin (Vintage, $14). Published in 1963 amid the throes of the civil rights movement, Baldwin’s classic is painfully relevant today. Written largely in the form of a letter from Baldwin to his nephew, the book is a call to channel righteous fury into a powerful resistance. Open Veins of Latin America by Eduardo Galeano (Monthly Review, $22). Galeano, who died in 2015, was a Uruguayan journalist and novelist. In his incendiary, poetic, and uncomfortable history of the Americas, published in 1971, he compiled a series of historical vignettes that weave together colonialism’s omnipresent themes: genocide, extraction, and exploitation. The Dispossessed by Ursula K. Le Guin (Harper Voyager, $8). In a sea of dystopian sci-fi, this 1971 novel is a rare example of successful utopian fiction. Set on the imaginary planets of Urras and Anarres—stand-ins for the United States and Soviet Union—The Dispossessed paints a hopeful and complex portrait of a society rooted in collectivism. Silent Spring by Rachel Carson (Houghton Mifflin Harcourt, $16). Carson’s book draws its enduring power from the combination of her deep love for the natural world and her indignation at the attacks waged upon it by the chemical industry. A former marine biologist, Carson was battling an aggressive cancer when she wrote this 1962 masterpiece.